The year was 1980 and U.S. news television station CNN had just been founded by media mogul Ted Turner as the first all news network. 1980 was also the year that brought popular movies such as The Shining, Stars Wars: Empire Strikes Back, Airplane!, Caddyshack, and The Blues Brothers. It was also the last time the University of Georgia won a National Championship. And according to the late Lewis Grizzard, "As 1980 begin, no one had any reason to suspect the dawgs would go all the way, not even Vince Dooley." The 1980 UGA team is considered the most dominant in school history despite having been largely ignored in the preseason polls. Led by freshman sensation Herschel Walker, the Bulldogs went undefeated and beat Notre Dame in the Sugar Bowl. Take a look back at Georgia's 1980 Championship season with Grizzard as he visits Wrightsville, Georgia-home of Herschel Walker. It's been a long time coming, 37 years to be exact, for University of Georgia football fans longing for another national championship. 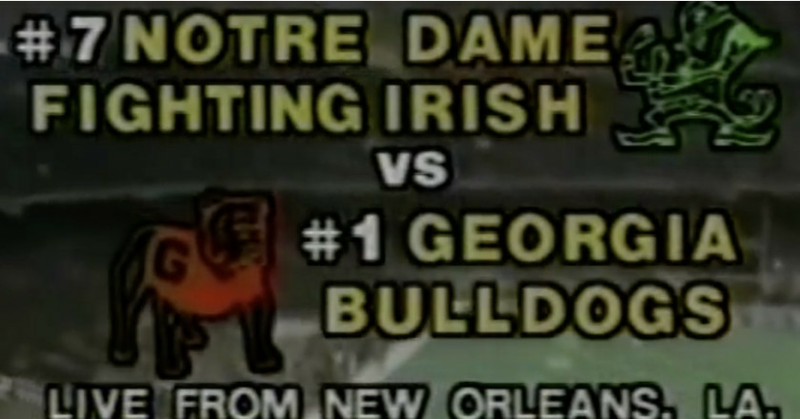 But for many seasoned fans, this trip to the natty inspires a wave of nostalgia about UGA’s storied 1980 season. With Georgia football potentially on the verge of its first national championship since 1980, let's take a look back at Georgia's last national champion in football, the 1980 team. Go Dawgs!